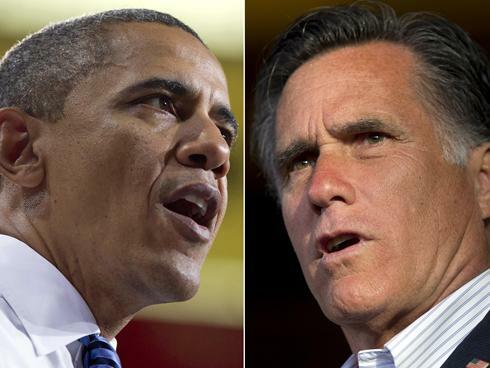 President Obama leads Mitt Romney in Ohio while the two candidates are neck-in-neck in Florida and Wisconsin, according to a new poll of the three swing states. The polling by Quinnipiac University/New York Times/CBS News shows the race tightening in Florida and Wisconsin. Romney is getting a small boost in these states from his selection of Rep. Paul Ryan, who hails from Wisconsin. In a key finding, the Romney-Ryan plan to dramatically overhaul Medicare by giving future beneficiaries money to buy private health insurance is unpopular in all three states. Roughly 6 in 10 likely voters in Florida, Ohio and Wisconsin say Obama would do a better job in handling Medicare than Romney, the poll says. "By more than 4-1 margins, voters in each state say the health care program for the elderly is worth the cost and 6 in 10 say they favor keeping the current Medicare model," said Peter Brown, assistant director of the Quinnipiac University Polling Institute. Florida: Obama leads Romney, 49%-46%. Obama was leading by 6 percentage points on Aug. 1. 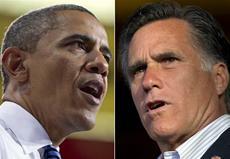 Ohio: Obama leads Romney, 50%-44%, unchanged from Aug. 1. Wisconsin: Obama leads Romney 49%-47%. Obama had a 6-point lead Aug. 8. Ryan was tapped by Romney to be his running mate on Aug. 11. Surveys of at least 1,190 likely voters were conducted Aug. 15 through Tuesday. The margin of error in each state is +/- 2.8 percentage points.